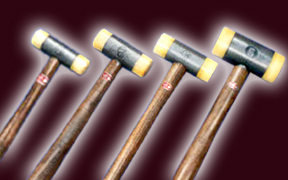 Hammers And Mallets India P. Ltd.
UHMW hammers are generally known as Nylon hammers. 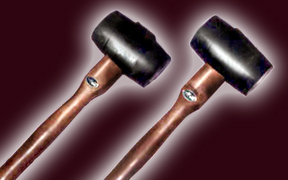 UHMW mallets are generally known as nylon mallets. 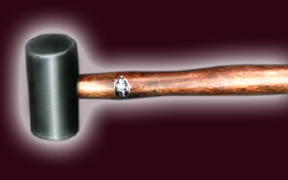 Welcome to www.hammersandmallets.co.in Your largest source for non damaging soft faced hammers and mallets. Are invaluable as they protect men and machines against injury or damage. 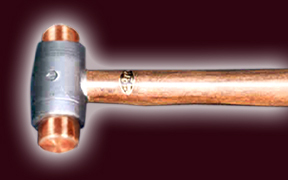 Transmit full force of the blow without damaging the part struck and least damages to hammers them. Act as shock absorber by bearing the brunt of the blow. Is comparatively noiseless ensuring silence in otherwise noisy workshops where steel against steel is used. 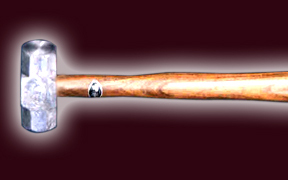 Some mallets are non-sparking and therefore quite safe to use in factories where fire hazards exists. 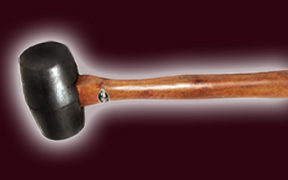 Specially seasoned wood handle strong and reliable. Security wedges and costly adhesives used for fixing the handles. Handles have oval easy grip shape for non- fatigue handling. Balanced and finished metal heads turned by expert craftsmen for accurate faultless stroke, safe and effective even by unskilled men. Strict supervision. Constant check up during process ensuring correct supplies. Used by Government and semi Government Concerns and also by leading Engineering, Automobile, Tractor, Engineering repair Workshops and Dairies all over India. Sold by hardware stores and jewelry tools shops. Approved in Foreign markets too. 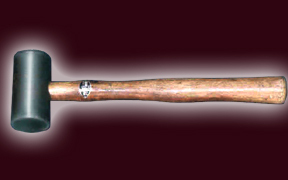 Nylon hammers with fiberglass handles are under trial and may take some time before appearing in the market. 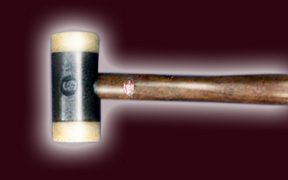 Hammers that have capacity to give you a dead blow where you want. 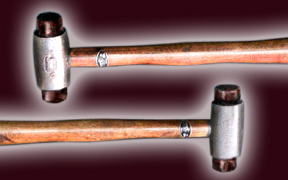 Sledge hammers and ice pick hammers from cold forgings available on demand. 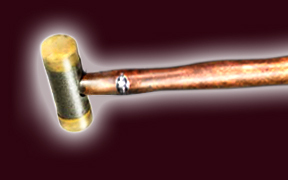 Copper Hammers Copper & Rawhide Hammers Pro Plastic Hammers Rawhide Hammers Plastic Hammers Rubber Hammers UHMW Hammers New UHMW Hammers. 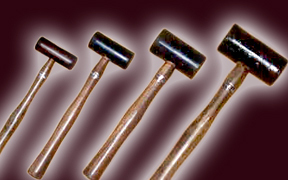 Copyright © 2006: Hammers & Mallets India P. Ltd. [A Trade Combine Group Company], Mumbai, India. All rights reserved.